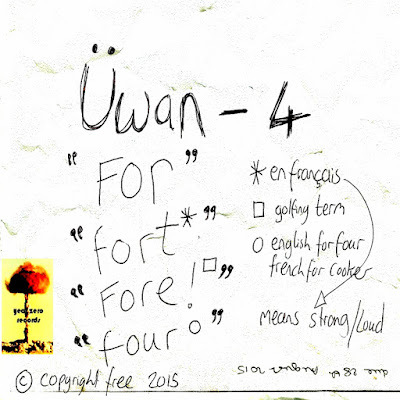 A fourth gruesome installment of ugly guitar improv from Üwan, this time returning to the more accessible Free rock touchstone from the coherent bits of "Ü1". The classic rock trio instrumentation recorded at high volume, producing a crackling dam burst of noise to flood the valleys below with under produced out-rock splendor. A Cathartic racket to appease the animal within. DOWNLOAD and play 4 for fore play HERE!